Haynes Commercial Products, LLC would like to thank you for visiting our web site. Haynes Commercial Products, LLC has been designing and manufacturing material handling equipment since 1989. Our top notch machine, welding, and fabricating shop, along with our skilled workmanship, allow us to serve your needs to the fullest. 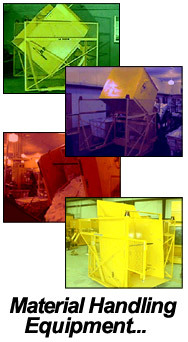 Please look at our complete line of material handling equipment. Please browse this web site to find out more about our line of products. If you have any questions, or require any additional information, please feel free to contact us ! 2015 haynesproducts.com All rights reserved.